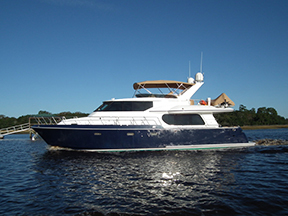 Yachts this size may be highly customized, or they may be standard configurations. While there are standard treatments for common situations, which we’ll reveal below, the bulkhead is open for many specific variations which may have a greater or lesser effect on your particular configuration. Here are noise reduction treatments that can be deployed during construction, and after construction, in order from the most likely to help to the treatments that are nice to do. Soundown has built up 30 years of experience in high-end noise reduction. We’ve used that experience to develop this list of recommendations. But remember no two vessels are really the same. To reach your most enjoyable boating experience, call us and set up a consultation. Along with the vital measurements of a craft, consider how it’s most likely to be used. In-harbor boats have one set of sound requirements. Extended cruising may call for more attention to other sound issues – particularly, engine noise and vibration that can grow increasingly tiresome with prolonged exposure. Problem: Yachts generally have larger engines than most vessels, which also leads to more noise, especially structureborne vibration. Isolation Mounts for the engine. These decouple the engine from the hull, isolating a significant portion of the vibration. While there are many options that can be considered, space constraints usually mean that engine and gear boxes are close coupled (see below for more advice on this coupling) and require a mount that can handle the force of the propeller thrust. 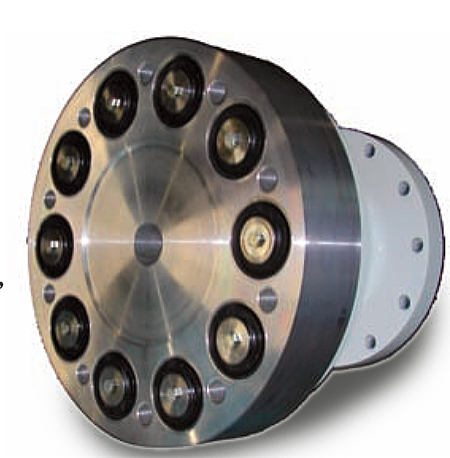 The Rubber Design TT mounts (thrust & torque) are designed specifically for such applications. The TT’s unique design uses a series of rubber plates in shear to provide isolation when positively or negatively loaded. By combining size and rubber stiffness options, Soundown can select a mount that avoids excessive engine movement while providing ideal vibrational isolation. Drive shaft separation is another solution that can have a significant effect. Drive shaft noise usually expresses itself as a persistent whine – another frequency of noise that’s particularly uncomfortable for human ears. By making sure the drive shaft is not directly coupled to the engine. Think of a long pole with an end that’s tightly secured to a structure. As it tries to wiggle and move, it comes under signification stress. If, on the other hand, there’s a spring connecting it at the end, that spring will allow greater range of motion, with far less structural stress. The right flexible couplings for the drive shaft will help provide that “spring” effect. (you should also consider drive shaft baths, expanded on below). In a decoupled solution, your best path will be to put the engine on softer mounts with high deflection, while the gear box is on a stiffer rubber mount. Here’s an illustration of a remote mounted solution with a flexible shaft coupling. Note: Foundation design is a vital element in composing your engine mount system. What your mount is attaching to, and how far the engine will be from that surface, are crucial considerations in determining how flexible the rubber components need to be. Problem: In larger engine systems the gear box can be under considerable stress. As sound, this manifests in a grinding noise about as pleasant as a toothache. Solution: The most common misstep is to have a hard-mounted gear box, especially one that’s right on top of the engine. A mounting solution is the natural remedy. This kind of refit will combine firm mounts with flexible mounting solutions, and is extremely customized. This is a solution where you really should call our acoustic experts with all the details of your engine system configuration – where is the gear box now – or where is it going to go, if you’re still building out? How is it mounted, and to what? What are the engine specs? How far is the gear box from the engine, and what are the space constraints of your engine room? With this information, an ideal gear box mount and placement can reduce the headache-inducing gear noise that may otherwise travel through your vessel. Problem: The drive shaft itself, when under enough torque, will emit a high-pitched whining which can travel throughout a vessel, often penetrating soundproofing aimed at lower-pitch noise. This high-frequency whine is also transmitted through the water, which many fisherman believe scares the fish. Rubber Design flexible shaft couplings are the best option to consider. These couplings isolate the specific excitation caused by gear mesh, which is carried down the shaftline and into the hull. Oil bath shaft systems can also have a significant impact, both muffling shaft while and greasing their motion to reduce tortional stress. These systems typically are comprised of a stainless steel shaft that rotates in a self-contained oil bath, and flexible joints at each end of the system. Best Bet: Evolution’s Marine Shaft System is a high-quality solution that embraces the entire system, from engine to propeller. Problem: Just like the engine, a generator will produce vibration that can carry throughout the ship. The same principals apply to this heavy machinery as apply to engines. Isolating the vibration is the key. For larger systems, we may even put in double isolation mounting – a mounted platform, on which a second mounting system come between the machinery and that first platform. Often the machinery comes from the manufacturer with a set of mounts, which work but aren’t sufficient from an audio engineering perspective. To compensate, we install a bottom plate, with a mounting system under that. The performance and quality ranges widely for these resilient mounts. We consider not only the weight of the equipment when we specify these mount systems – the performance level and output relative to natural frequencies is also important. The specific vessel type and the shape of the machinery space are also important elements that go into the math which produces your ideal mounting system. Problem: The engine is properly mounted, the generator has been taken care of: But other elements in the machinery space can produce similar audio problems. Just like the engine, air conditioning, air trunks and pumps and sanitation units start to be a problem in the accommodation areas. That hum of an AC you’d expect in a cheap hotel room isn’t a welcome addition to a stateroom or salon. Hydraulics and winches can generate their own hums. Give Soundown a list of equipment and weights. Our experts will want to know what is bolted onto a bulkhead or onto a less stiff / hardened structure. Non-flexible mounting is most often where the noise comes from. Location of equipment is also a big factor here – Soundown can consult on placement. At the pre-build stage, our consultation can save a lot of noise later. Bring us into the conversation earlier than you think you should to save money and noise down the line. Making sure the foundations match up with machinery mounts is crucial – even simply hitting the transoms correctly can result in a 2 or 3 decibel reduction in noise. Planning out your venting configuration can also have a significant impact. Improved areas: Decks, and shipwide to a lesser extent. Problem: The engine is properly mounted, the generator has been taken care of: But other elements in the machinery space can produce similar audio problems. Just like the engine, air conditioning and pumps and sanitation units start to be a problem in the accommodation areas. That hum of an AC you’d expect in a cheap hotel room isn’t a welcome addition to a stateroom or salon. Hydraulics and winches can generate their own hums. Custom exhaust systems can be attached to any vessel. This might mean an extensive system for a midship engine room or a ship that needs a stacked exhaust. It might mean an underwater exhaust. We have more information on exhaust configurations here. Not all of our systems are patented, but we do often use patented technology to achieve ideal results for some boat styles. Soundown’s silencers are Lloyd’s approved by Lloyd’s of London, meeting any required insurance standards, and have been certified by the international Maritime Organization (IMO), a certification that includes testing by Lloyd’s of the systems’ ability to consistently provide quality over the long term. We also pay attention to implementation and the general aesthetics of the system, making sure that the level and tone of finish matches its surroundings. We’re proud to produce some of the world’s quietest exhaust systems. Captains have told us they sometimes can’t even hear when their pumps are on. Generators also demand particular attention, as they are often used when your vessel isn’t at sea, with the added camouflage of wave noise. Generator silencers are available in any size, but we will often adjust a generator silencer to tone down a certain type or frequency of noise. Share your situation with us and we’ll maximize your quietness. It’s a shame when everything looks like the ship in a glossy magazine ad, but doesn’t sound like it. The hum can destroy the experience. Source: Engine and other machinery in the engine space. Problem: The large engines found on yachts generate airborne noise in addition to structurborne. So does equipment like generators and air conditioners. For hull sides or fuel tanks outboard of the engines we recommend Soundown’s IAF acoustic foams. IAF does not feature a barrier – the foam absorbs noise in the machinery space resulting less noise in the accommodations. It’s also effective at reducing airborne noise that often escapes through the ventilation system to other parts of the boat. 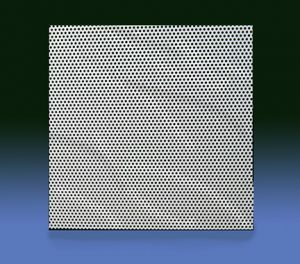 For a high level of finish and additional noise reduction, Soundown QuieTech perforated aluminum sheets can be installed over insulation. The honeycombed cavities bounce the sound around, defracting and absorbing it. QuietClad damped aluminum is also available for vessels where a hard finished surface is standard. The QuietClad damped aluminum sheet provides both a clean white finish and excellent noise blocking properties, especially when used in conjunction with QuietStrips and acoustic fill. The more reflective surface often looks better, but has less effective sound damping qualities, reflecting some and even amplifying some wavelengths. The materials used are incombustible. Best Bet: This depends on the speed you need from your craft. If keeping weight down is a top priority, thinner will be better – try .082” steel or aluminium. For ideal acoustic damping, heavier is better. Try .164” thickness and heavier fiberglass material. Floated bulk heads or even an entire floating interior can have a significant effect on noise reduction, essentially turning your floor into a layered sound absorber. Floated soles are hard surfaces raised or suspended with small fasteners, creating a thin absorbent layer or material or even air between the hull and the floor, ceiling or wall. This approach is often used in staterooms, but it can also work in the engine space, if there is enough clearance to suspend a ceiling above the machinery. Fasteners: When any insulation is being installed, it’s a best practice to use vinyl fasteners. These attach right through the frame to the wood or aluminum layer and creae an attachment point and gap for air flow to pass through. Problem: Even the largest vessels can present relatively tight living quarters, where sound may travel from stateroom to stateroom more than you’d like. Solutions: Cabin to cabin is typically more important than cabin to passage insulation. Similarly, the galley, often home to noisy food preparation activities, may merit isolation from other areas. These can both be achieved with the following steps. Insulation: Barrier composite insulation on the overhead and bulkheads. Barrier composites sandwich a layer of mass-loaded vinyl with acoustic foam. The foam absorbs noise while the mass-loaded layer reflects noise back where it came from, protecting accommodation areas. Soundown’s IVF (insulated vinyl/foam) composite sheets are highly effective aboard most vessels and are easy to install in new builds or during refit. Floating soles: As with engine and machine space noise mitigation, floating soles can help reduce noise transmission between interior spaces.